Space Copenhagen originally designed the Spine range for the interior design for a Michelin starred restaurant in 2011. As seen in several successful Copenhagen restaurants since, Spine is anchored in Nordic tradition with an unexpected, personal twist. The simple lines are intuitively familiar, while the unorthodox details give the furniture a striking new aesthetic. Despite the contrasting elements, the top and bottom still merge into a balanced entity. 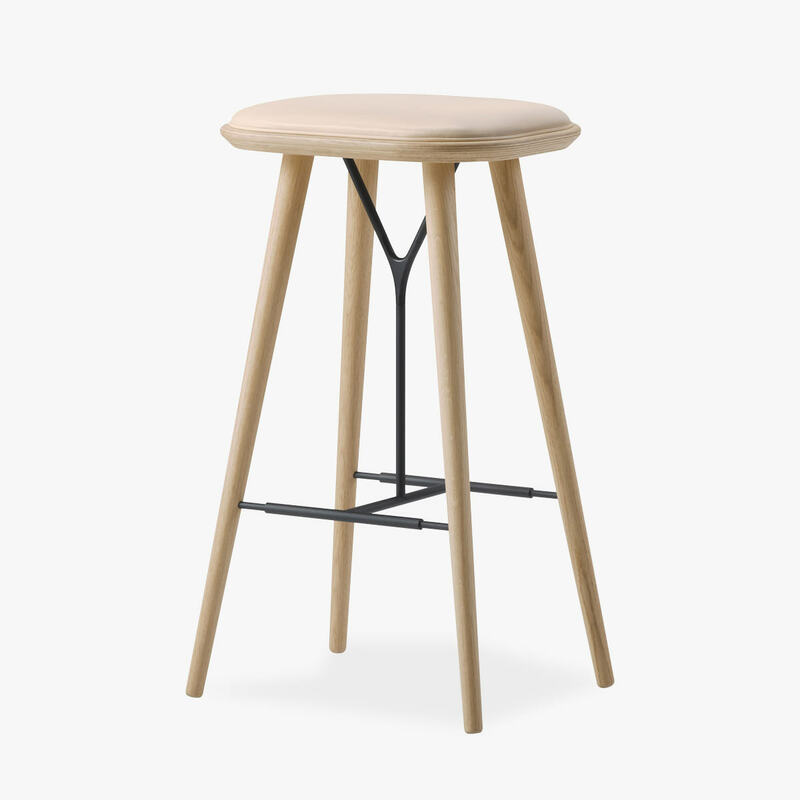 Spine Stool is available in a range of upholstery options. Visit or contact your nearest showrooms to experience the range of upholstery options available. We enjoy carefully curating our leather and fabric options to best compliment fine craftsmanship behind our iconic pieces.